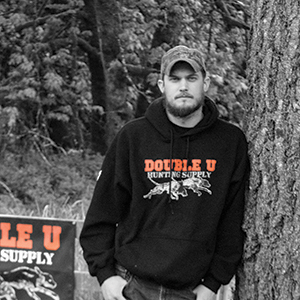 Matt joined Double U in Sept 2012; he’s s an avid outdoorsman who shares our passion for hunting. He graduated from Eastern Washington University with a Bachelor’s Degree in Communications and a minor in sociology. Matt has a yellow labrador named Rex that he hunts regularly, and he’s quickly becoming the expert for Garmin and our products and can handle any needs or questions you may have. His favorite dog breed is the labrador retriever, and his favorite thing about working at Double U is all the exposure he gets to the world of hunting. This is perfect, as most of our customers are also avid hunters. Previously The Director of Sales, in the past year, Matt has transitioned to part time work for Double U. He now works remotely so that he can be closer to family.